Porto's namesake port wine, atmospheric architecture and colorful tiles, historic rabelos bobbing on the Douro River and bone-rattling trams; these are just a few of the reasons that Porto, Portugal was high on our travel wish list for a 3-day city break. We finally took the opportunity to visit Porto for a long weekend and I'm pleased to report that the city exceeded our expectations as a European city break destination. 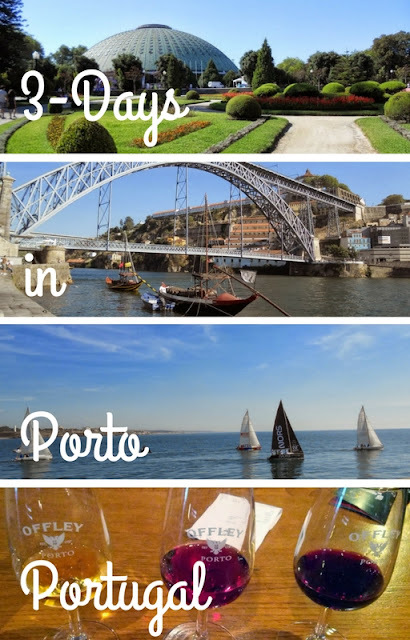 Here's the Porto 3 day itinerary that we created and experienced for a magical weekend away. We hope you'll benefit from what we learned if you're planning your own long weekend trip to Porto. Getting There: Porto is served by the major low cost airlines in Europe including Ryanair and EasyJet. Here is a link to the full list of airlines servicing Porto. Ground Transportation: Getting to Porto's city centre from the airport is easy via the Metro do Porto. Buy an Andante ticket from the kiosks at the station (2.30 € single includes 0.50 € card fee at the time of writing). Accommodation: We stayed at the charming Casa dos Lóios Boutique Guesthouse (Shiadu) for 198 € for 2 nights at the time of writing). Menu do Dia: Grab an inexpensive two course lunch offered at many places throughout Porto. We chose Larica. We were treated to soup, a plate of pasta or rice with meat, and a glass of wine for less than 7.50 € per person. Tip: we asked the manager at our hotel for recommendations for places to eat in Porto before we set out rather than relying on our guidebook. Enjoy an Afternoon stroll along the Douro River in Porto: Click the image below to see a selection of full-sized photos from our walk. Port Tasting: Finish off the afternoon across the Douro with an uphill climb to one of Porto's famed port houses. We chose Offley and were treated to a tour and generous samples of three ports for just 4 € per person at the time of writing. Click the image below to see a selection of photos from our port tasting experience. Enjoy an Amazing Sunset: Stake out a rooftop table and sip a port cocktail at Espaço Porto Cruz. Click the image below for more photos of the gorgeous Porto sunset that we witnessed. Dine along the Douro: Lovely outdoor eateries line the Douro River in Porto. We tried Casa Filha da Mae Preta. Entries average about 10.00 € at the time of writing and it's worth every penny not only for the food (we loved our octopus dish served with sharp raw onions) but for the people-watching. Steep in the atmosphere of Porto and take a walk to explore the area around Clérigos Church, Church of St. Ildefonso, Cinema Batalha, Rua de Santa Catarina, and Câmara Municipal de Porto. Upscale Menu do Dia: Take time out for another Menu do Dia in Porto. This time, we tried the more upscale Club 3C. We were drawn in by their chalkboard menu outside as we went past. Tram Excursion to Foz: Hop on historic Linha 1 of the tram system (2.50 € per person each way at the time of writing, buy on board) along the Douro and you'll be transported within 30 minutes to where the Douro river meets the sea. Take time to walk along the break walls and note the difference between the serenity of the Douro River and the raw power of the Atlantic. Click on the images below to access additional photos from our afternoon excursion to Foz. Port and Chocolate Tasting: Retrace your route on the tram from Foz back to its origin in Porto. Cross the river and do a reprise of your port tasting experience from Day 1. This time, we opted to try one of the port tasting rooms along the Douro River, Kopke. We were led upstairs to a quiet room overlooking the Douro and were presented with a menu of wine flights to choose from. We selected an option (22.40 € at the time of writing) that included two wines and three ports (one was 30 years old!). The port tasting was served with a copious supply of chocolate. Sunset Cruise on the Douro: A number of companies run ~1 hour excursions under the 6 bridges of the Douro River in Porto for about 10 € per person. Time your Douro cruise to coincide with the sunset in Porto for extra-special views. 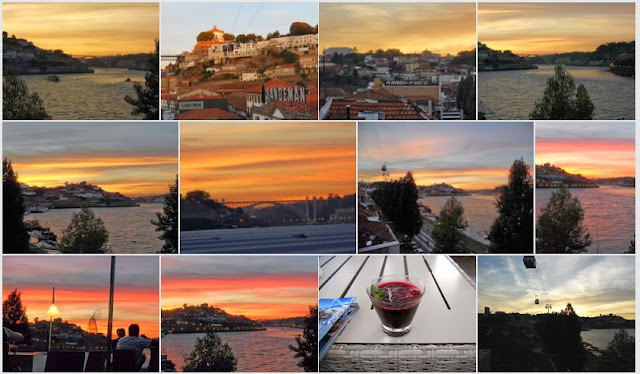 Click the image below to see additional photos from our sunset cruise in Porto. Climb Torre dos Clérigos: On Sunday, many shops and attractions in Porto are closed but you can still climb the iconic tower at Clérigos Church. Catch your breath while steeping in the amazing views over Porto. Final Stop at the Jardins do Palácio de Cristal do Porto: Walk from Torre dos Clérigos to the Crystal Palace in Porto which boasts unparalleled views over the Douro River. We hope you've enjoyed our recommendations for a 3-day trip to Porto, Portugal. If you have even less time and want to see even more, check out this post on spending two days in Porto with a side trip to the Douro Valley. Be sure to stop back after your travels to Porto and leave a comment with your favorite finds. Note: All expenses for the trip to Porto were incurred by the author. 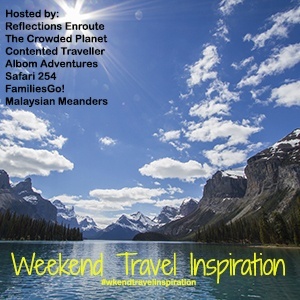 None of the elements of the trip were sponsored by any of the attractions, hotels, or restaurants referenced. Find out tips on how to spend 3 days in Porto, Portugal with this vacation itinerary. Explore Porto on a 3 day weekend from Dublin.